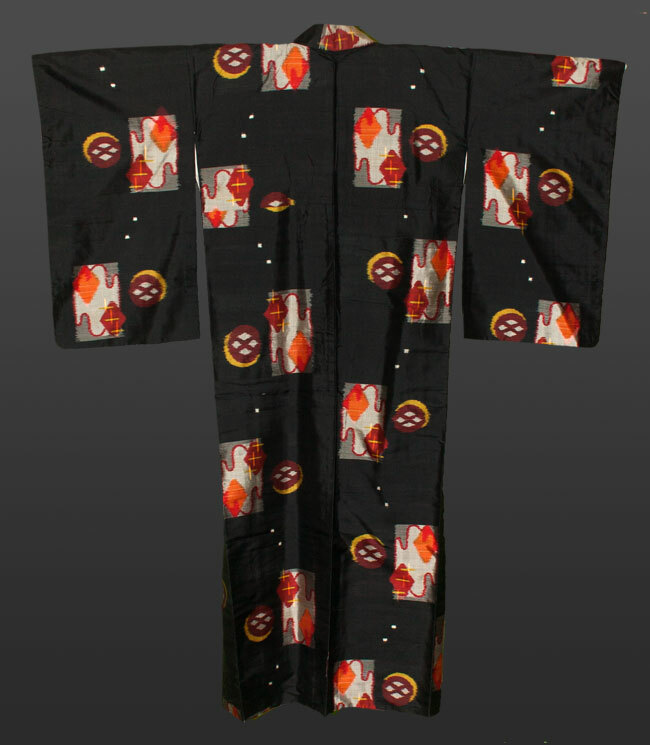 Kimoyes item: 21505 - Beautiful black vintage meisen silk kimono with traditional ikat motifs. Beautiful black vintage meisen silk kimono with traditional ikat motifs. 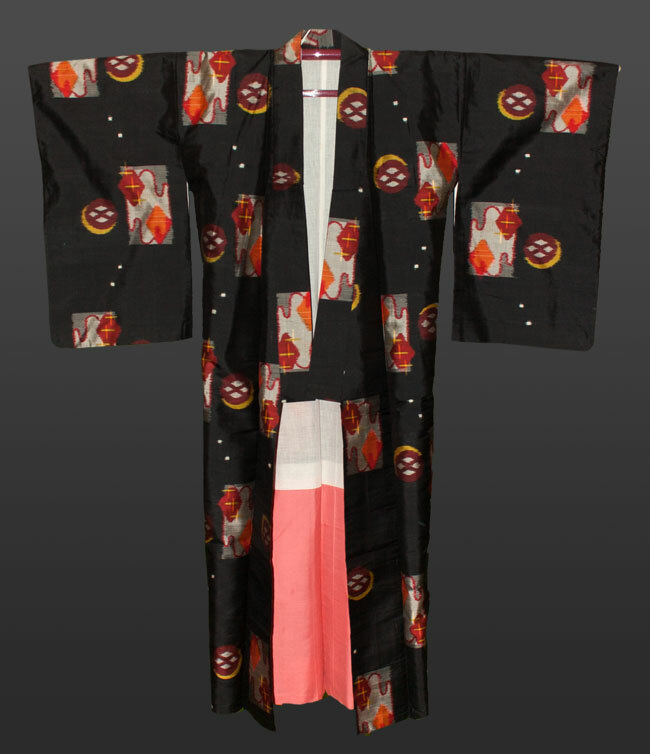 This kimono measures 50 inches from sleeve edge to sleeve edge and is 58 inches in length. It would be comfortable to wear or display.